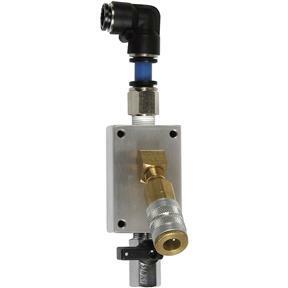 RapidAir is a complete compressed air distribution system that is designed to easily install beneath walls of new construction, or on wall surfaces of existing workshops. Imagine putting compressed air lines exactly where you want them, just like electrical outlets. 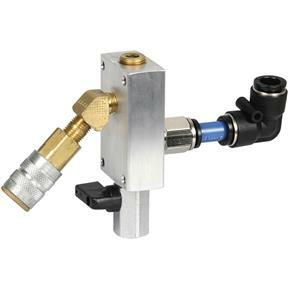 No more dragging hoses across the shop to your work area. Put these aluminum outlets where you need compressed air. 1/4"-NPT attaches to your quick coupling and includes water condensate drain valve.